There’s something great about getting out to a new venue. It’s not just the new rock climbing routes, but mainly the scenery, sights and people you meet. A short weekend trip to visit the brother-in-law, now living in Madrid, gave the excuse to check out any possible venues in the area. I’ll be honest, I’d no idea of anything near Madrid. For myself, all the climbing in Spain is, for the most part along the coastal regions! La Pedriza is part of the Guardarrama Mountains, situated just north of Madrid and is not well know outside Spain. It is the European version of Yosemite’s Toulomne Meadow featuring run-out friction slab climbing up granite domes. Although most of the routes do have holds, often the difficulty of the routes comes down to the angle of the slab and how spaced those holds are. Many routes are bolted however don’t be surprised if you are gripped reaching the next one as most of these routes are not clip-ups. Some will require extra trad gear whilst other are full trad experiences even if they are fully bolted. Climbing here is not your typical relaxing bolt-clipping in the sun type of holiday. Expect adventure and all the good things you get from trad climbing and you won’t be disappointed. Also, don’t be surprised if your arms wither away as the only things that are likely to get pumped here are your calves. I’ll be honest. I’d stopped reading after the words ‘run-out friction slab climbing’. 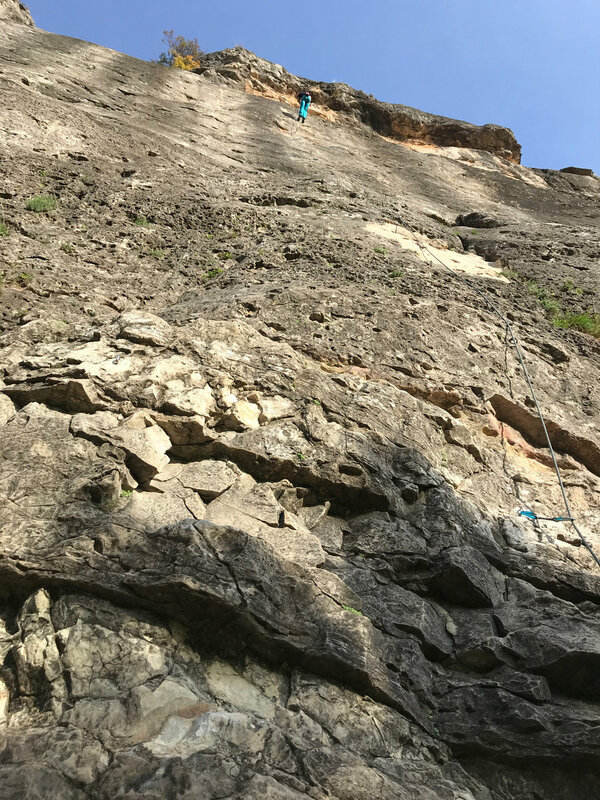 Right now, 18 months post-surgery, I had absolutely zero interest in spending one of first few days back on rock terrified while I teetered up some blank slab. I’ll go watch Free Solo if I want that experience, thanks! So, instead the area went straight on the ‘future trips list’ - I may not be interested in that style now but I will be again in the future, and after a hike through the National Park of Pedriza, the comparison to Toulomne Meadows was certainly apt - and the hunt began for an alternative option with vertical or overhanging rock, and ideally involving bolts instead of bouldering. So alternative solutions were looked at. The bouldering mecca of Albarracin was too far for a day trip (3 hours), and the brilliant venue of Chulilla was also too far (even more than 3 hours) which left the sole option appearing to be the climbing area of La Patones, just east of La Pedriza, and an equivalent distance (45 minutes to the city centre). It didn’t look like much initially, no one mentioned it, and it looked like only a small section of guidebooks. In many ways, that description was accurate. It’s a relatively small crag situated directly behind a now-dormant dam in a secluded valley, just outside the village of Patones. As a city crag, or as one to just pop over to while you’re in the vicinity, it’s ideal. The main highlight? The routes are a very decent length: you’ll get away with a 60 metre rope but I’d recommend a 70 to make things comfortable. As for the grades, it’s a cliff of grade 6’s and 7’s. The initial area, which is open year round is primarily 6’s, but there’s another area further out into the valley that has various bird ban restrictions that ups the ante on the difficulty into the grade 7’s also. For us, it was ideal. Stress-free playing about on easy routes with close bolting and an easy walk-in. I won’t say much more on the place, only that if you’re in Madrid and looking for some nice climbing (it is nice rock, and not overly polished either) while in the region, it’s worth checking out. 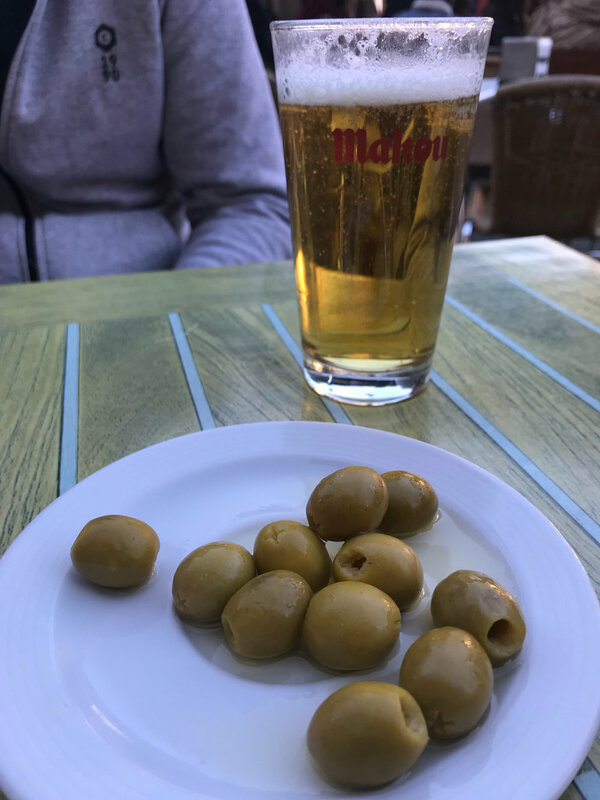 Outside of that, when in Madrid….. do some yoga, rent the incredible Lime electric scooters (electric mobility is the future for cities) and sample the delights of the rooftop bars! Yoga in the park. Why not! Madrid does a great rooftop bar!